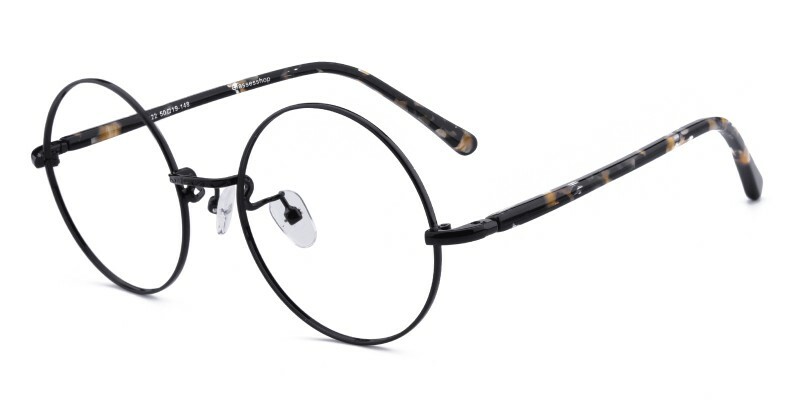 Brunswick Round metal eyeglasses with vintage Harry potter's style come in classical black color. 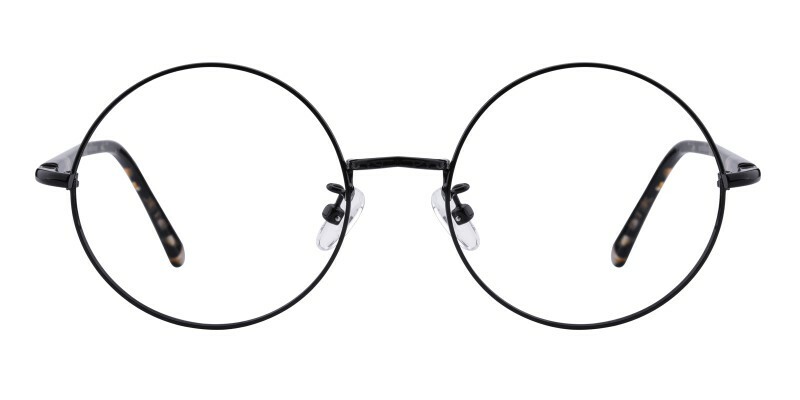 With decent round frame design, this frame is perfect for the Harry Potter fan in you. 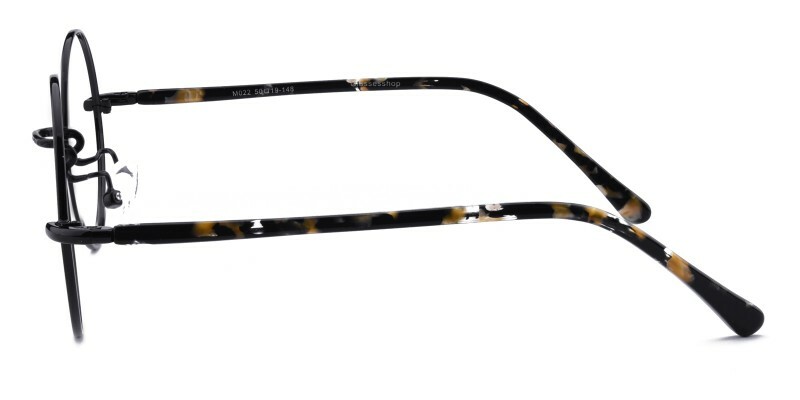 Although without spring hinges, the acetate material temples are comfortable and durable to wear. It is also available for progressive and bifocal lenses. I am inlove with these! They were the perfect size, not too big or small and they are very comfy on my face. Personally I would order 2 as they are a bit flimsy but reliable as I have had them for almost a year! love these glasses. 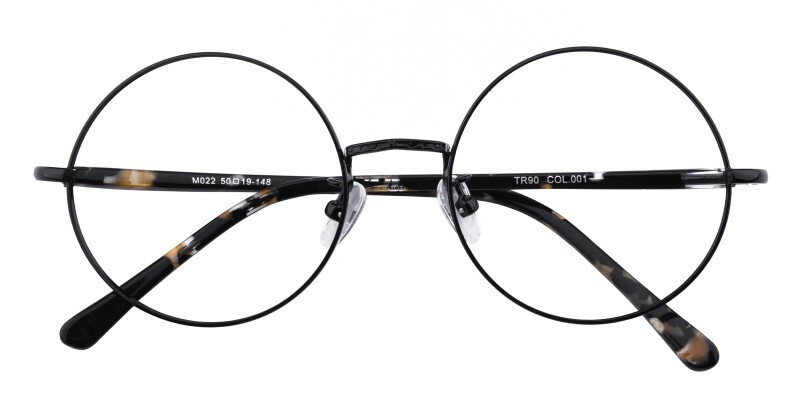 very delicate frame, but large round size makes them very stylish. love, love, love! this was my first time ordering from glassesshop.com and i couldn't be happier. i ordered two pair, one for my computer work, and another pair with my bifocal prescription. excellent customer service assisted me to find the right prescription formula for both my bifocal pair and my computer pair. my new glasses arrived in 17 days from the day i ordered. they are cute, lightweight, exactly what i was hoping for. they came in two cute cases, each with a cleaning cloth also. thank you! 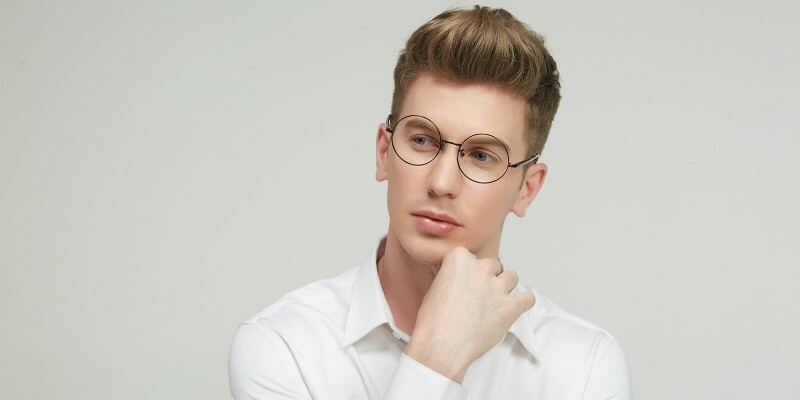 i will be ordering again from glassesshop.com.